Last week, I talked about how the southern colonies had all chased off their Royal Governors during the summer and fall of 1775. It then occurred to me that I ought to do the same for the rest of the colonies to make clear the entire continent was up in arms. Massachusetts, of course, was the epicenter of the rebellion. I’ve already discussed that colony’s situation in past episodes. The siege of Boston that bottled up the regular army, also restricted the head of that army, Gen. Thomas Gage, who was also Governor of Massachusetts. When the orders from London arrived in September to recall him, the Governor left, never to return. I will talk about that more next week. The bottom line is that outside of Boston, Britain had no control in the colony and the Governor had to leave. In New Hampshire, Gov. John Wentworth faced increasing hostility from the local patriots. He kept a low profile after Lexington and Concord. On June 13, a mob surrounded his house in search of a loyalist militia officer. After that, Wentworth and his family moved to the relative safety of Fort William and Mary. Remember, that’s the fort which the militia had little problem capturing twice in one week the year before. I discussed that back in Episode 51. It still had a small military garrison but also now had the backing of a Navy ship just offshore. By August, the fort seemed threatened anyway, Wentworth sent his family to London and joined Gen. Gage in Boston. The fort garrison left in September, leaving New Hampshire completely under patriot control. Rhode Island had an elected Governor, not appointed by the King, which assured some local popularity. Even so, Gov. Joseph Wanton of Rhode Island was a Quaker and deemed too loyalist for the patriot population. 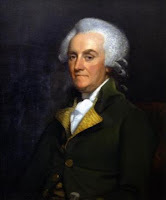 Wanton won reelection in May 1775, just weeks after Lexington and Concord, though his new Lt. Gov. Nicolas Cooke was a committed patriot. Wanton refused to raise an army to fight against the British in Boston, nor commission militia officers. The patriot controlled Assembly did not impeach him. It simply decided he was not Governor anymore and allowed Cooke to assume the duties of Governor. Wanton remained in Rhode Island, maintaining a strict neutrality. He continued to live in the colony as a private citizen until his death in 1780. Connecticut Governor Jonathan Trumbull was also elected. Unlike Gov. Wanton in Rhode Island, Trumbull gave his full support to the patriot cause. Several of his sons joined the Continental Army and he worked hand in hand with the patriots in his colony to further the patriot cause. As a result, he continued in office for another decade. He would be the only colonial governor to transition to state governor. There was however no royal authority in the colony. New York was a little more complicated. Although the patriots had largely taken over in the days following Lexington and Concord, the Royal Navy maintained a large presence in New York Harbor. Several hundred regulars also remained in New York City. 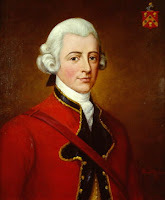 Royal Governor William Tryon had taken a trip to London in 1774. He was still away when patriots took control of the colony. Unlike New England, New York still had a vocal and active loyalist faction during the summer of 1775. Gov. 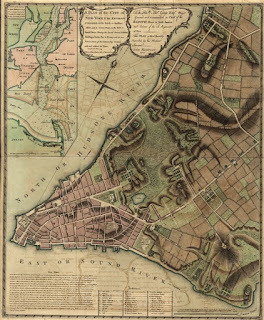 Tryon returned to a divided New York City on June 25 1775. That same day, Gen. Washington also arrived in the city, on his way to Boston to take command of the Continental Army. Both men received separate welcoming committees. Tryon realized he had lost all political control, but attempted to serve the King as best he could. He remained in the city, but under the constant protection of a small detachment of regulars. 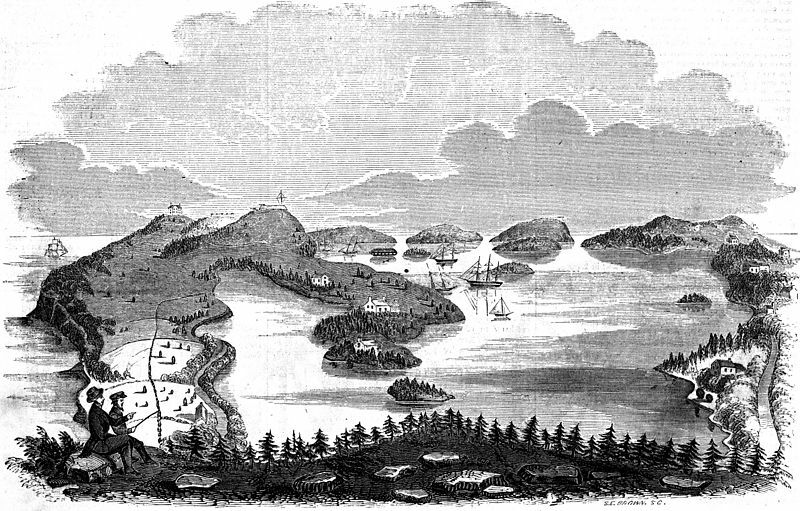 On July 20, patriots under the command of radical New York leader Isaac Sears seized the contents of the Royal Armory at Turtle Bay. They removed the munitions to Connecticut for use in the patriot cause. The raid was an embarrassment to the Royal Navy still sitting in New York Harbor. The British went on alert for future patriot efforts to size munitions. 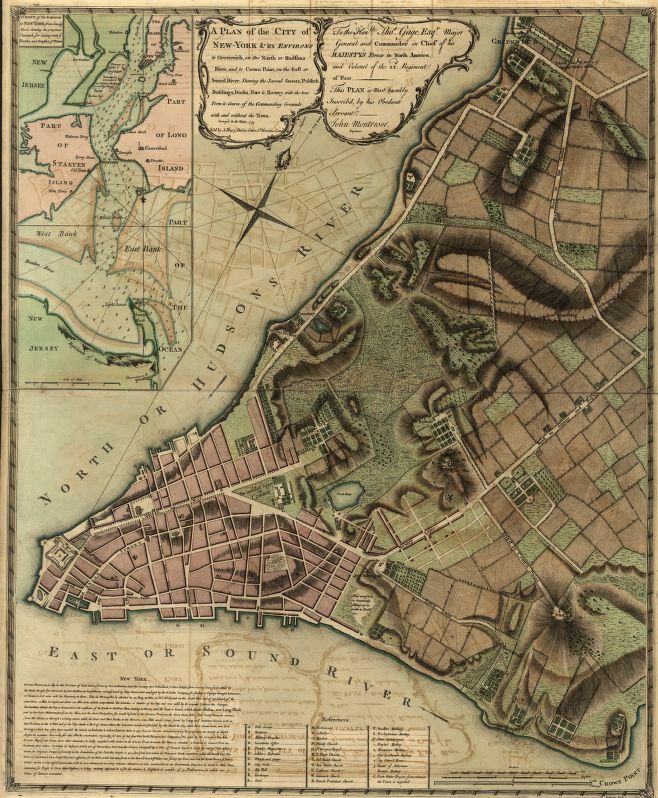 On August 23, a raiding party under orders from the NY Provincial Congress, attempted to take control of twenty-one canon from the battery stationed at the southern tip of Manhattan. British troops exchanged fire with one British regular killed. The navy ship Asia fired several broadsides at the raiders. The cannon fire damaged several buildings in Manhattan, resulting in many New Yorkers fleeing the city. They feared it would become more of a battlefield in the future. About that same time, the Continental Congress ordered the arrest of any royal officials who refused to support the patriot cause. The NY Provincial Congress, however, refused to arrest Gov. Tryon. Although patriots controlled the city, they feared the navy would level the city if they kidnapped the Royal Governor. Gov. Tryon stuck it out until October, when he finally accepted that remaining in the city was just too risky. On October 19, Tryon boarded the British sloop the Halifax. He remained on board, attempting to perform his duties as Governor, and receiving guests. He would sit in New York Harbor until the British invasion the following year. At that point, he could return to the city with the tens of thousands of British regulars that occupied New York. New Jersey patriots formed a Provincial Congress in May 1775. Like New York, the State had both strong patriot and loyalist factions. The Royal Governor William Franklin remained in the colony throughout 1775 as did the loyalist, or at least more moderate General Assembly. It may be because Franklin’s father was the famous patriot Benjamin Franklin and Benjamin might be able to lure his son to the patriot cause. Gov. Franklin, however, remained a committed loyalist. In November, the NJ Assembly considered sending its own petition to the King seeking a peaceful solution. The Continental Congress, which had already received the King’s rejection of its own Olive Branch Petition, sent a rebuke to the New Jersey legislature for attempting its own petition. Without context, New Jersey’s effort might have seemed reasonable to many. The King rejected the Olive Branch Petition because it did not recognize Congress as a legitimate entity. But the King would have no such reason for rejecting a petition from the Royal Government in New Jersey. The King though, had also made clear he was in no mood for diplomacy by this point. The Continental Congress sent a delegation to the New Jersey Assembly, headed by John Dickinson, to talk them out of a petition. Dickinson the moderate delivered the message that the time for talk was over and we had to fight now. He argued the King had declared war and that New Jersey sending a petition at this point would make the colonies seem weak and divided. Dickinson also carried the implied message that the Continental Congress would take the exclusive power of negotiating with London for the protection of colonial rights. So this was a big step, and a surprising one for a man like Dickinson. He did, however, convince the Assembly not to send a petition. The New Jersey petition attempt indicated that the colony was not solidly on board with the patriot cause. It may be another reason NJ patriots allowed the Royal Governor to remain in power. That finally came to end early the following year when the New Jersey Provincial Congress finally put the Governor under house arrest in January 1776. Later, they moved him to a prison in Connecticut. Eventually, the patriots turned over the Governor to the British as part of a prisoner exchange. Pennsylvania, with an elected assembly, had a relatively smooth transition to the patriot cause. The Penn family held the office of Proprietor, which acted as Governor, since the colony’s founding. The King made no appointments. The Penn family simply owned the colony. Proprietor Thomas Penn, son of founder William Penn, died in London in March 1775. His nephew, John Penn had been running the colony in his father’s name for years. John Penn seemed to support the patriot cause generally. He carried the Olive Branch Petition to the King in 1775. Penn stayed in London after delivering the petition. He remained governor in name only until independence in 1776 ended the proprietorship of the Colony. Delaware also fell under the control of the Pennsylvania Proprietor until its independence in 1776. Maryland Royal Governor Robert Eden had been born in England, but he had married the daughter of Maryland’s proprietor and was well respected in the colony. He had been supportive of colonial rights since taking office in 1769, but as governor could not support armed opposition to the King. The patriot-backed Annapolis Convention took effective control of the colony in 1775, and asked Eden to step down. Though he refused to resign formally, he took no steps to prevent the Assembly from running the colony as they saw fit. When the Continental Congress ordered his arrest in the fall of 1775, the Assembly refused, allowing him to remain as the nominal governor. Eden stuck it out until June 1776, before finally boarding a British navy ship and returning to England. Ok, so with that, the thirteen colonies that would found the United States were entirely or mostly under patriot control by the end of the summer of 1775. It is not necessarily that the majority of Americans in each colony supported the patriot cause. It seems more that the patriot factions were more active and organized in each colony. I have not discussed the southernmost British colony in North America, Florida. East and West Florida had become British at the end of the French and Indian War. Spain gave the Floridas to Britain as part of the price of getting back Cuba. Although the Spanish had a colony at St. Augustine for over 200 years, the European population of East Florida was tiny, about 3000 Europeans, 2000 of which lived in St. Augustine. West Florida (capital Pensacola) had a population of about 6000, but was far more removed from the rest of the colonies. The British army kept one regiment at St. Augustine as its southern command. But really no one was flocking to the colony in any great numbers. Floridians did not seem to share the outrage of their fellow colonists to the north. They had willingly paid the Stamp tax and other taxes that had created showdowns in the other colonies. The small population of planters showed no interest in being a part of any rebellion. 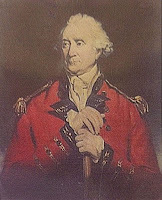 The Royal Governor Patrick Tonyn served without interruption until the end of the war. As a result, Florida remained firmly in the loyalist camp. Over the course of the war, many loyalists, particularly from the southern colonies would flee to Florida, increasing its population to around 17,000. But in 1775, Florida was a tiny backwater. Gen. Gage even ordered part of the single regiment left in Florida to provide reinforcements for him in Boston. As a result, the British military presence in Florida sunk to a token level of a couple of hundred men. In addition to being a destination for fleeing loyalists, St. Augustine served as a prisoner of war camp during the Revolution. Later in the war, the Spanish would begin looking at ways to recover Florida. That is a topic for future episodes. In 1775, Florida remained pretty quiet. One exception to this came on August 7 when an armed sloop from Georgia called the Commerce discovered a British transport vessel named the Betsy was sailing to St. Augustine with a large supply of gunpowder. The Commerce spotted the Betsy at night and came alongside her with only a few black crew members remaining above deck. The watchman on the Betsy assumed it was a cargo ship run by slaves and did not alert the sleeping crew. Once alongside, the Georgians captured the crew and unloaded around 170 barrels of gunpowder before making their escape. The only other North American colony under British control was Canada. I’ll get into more details about that when I discuss the invasion of Canada. But for now, I’ll just say that like Florida, Canada remained pretty solidly in the loyalist camp. 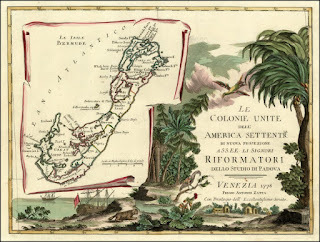 Britain also had a few island colonies in the area. Today, I only plan to talk about one of them, the small island of Bermuda, where patriots conducted a raid over the summer of 1775. As I mentioned in an earlier episode, Washington arrived in Cambridge to find that his army had almost no gunpowder at all, not even enough to fight one significant battle. He immediately began a desperate search for powder anywhere he could find it, while trying to keep the shortage a secret. If the British discovered the shortage, the regulars in Boston might simply march out and route continentals, who would probably be unable to shoot back for very long. Washington was able to scrape up some munitions from other colonial stockpiles, and smugglers were making every effort to bring back powder from Europe. But getting more powder was slow, and supplies acquired were small. You can really feel for Washington’s position when your read some of his letters at this time. He practically begs anyone to send anything. The search for powder went anywhere in the world that could serve as a possible source. Bermuda was a small relatively isolated British colony to the north of the West Indies. It is a tiny island, actually a group of islands, totaling about 20 square miles of land. Bermuda as a colony had developed on trade, well actually piracy for most of its history, hitting French and Spanish ships in the West Indies. Today we would call the pirates of the Caribbean. The island also developed a strong ship building trade and became a major exporter of salt. Much of the salt was collected from shallows on the nearby Turks Islands, which Bermuda had been disputing with the Bahamas for decades. Bermuda’s governor George James Bruere, a former British Army officer had governed the Island for more than a decade. Like any royal governor, he strongly supported the King and the government in London. Gov. Bruere’s son, Lt. John Bruere died while storming Bunker Hill in June. Another son, Lt. George Bruere was wounded in the same battle. This probably did nothing to endear Gov. Bruere to the colonial cause. Slaves made up a majority of the island population. The remainder were mostly British colonists who tended to support the patriot cause. The colonists on Bermuda had gone through most of the same annoying attempts at taxation that had raised the ire of their fellow colonists in North America. Bermuda also had close relations to the North American colonies for trade. 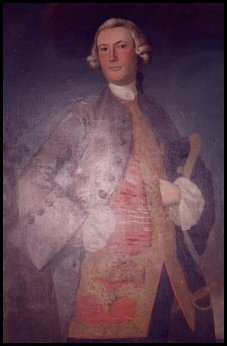 Bermuda Council President, Henry Tucker had two brothers living in Virginia, both of whom sided with the patriots. He was especially sympathetic to the cause. The problem for Bermuda was one of geography. Even though many on the island supported the patriots, they could not join the patriot cause because the British Navy could very easily cut off the entire island. The island was completely dependent on outside trade for food. Bermudans imported nearly 90% of the food that they ate. Almost all of this food came from the North American colonies. Once the Continental Congress banned all trade with the British West Indies, Bermuda had to find another source of food or face massive starvation. Most of the other islands in the West Indies were also net-importers of food since they mostly grew cash crops. So trading with other British islands wasn’t an option, and trade with anyone outside the British Empire was also banned. Tucker had his brother in Virginia start a correspondence with Thomas Jefferson about the problems the island faced without trade. Eventually Tucker’s father, also named Henry, travelled from Bermuda to Philadelphia to meet directly with Congress on the issue. In informal discussions with Benjamin Franklin and Robert Morris on the Secret Committee set up to secure munitions for the Continental Army assured Tucker that if he could smuggle munitions to the patriots, they would be permitted to trade for food to bring back to Bermuda. In July, the Congress passed a general rule stating that ships bringing munitions would be exempt from the trade embargo. They did not single out Bermuda because they did not want to bring attention to them, but it was clearly done in response to Tucker’s negotiations. Bermuda, of course, could not simply send the powder to the Continental Congress without getting in big trouble with London. Instead, the two groups appear to have concocted a sham “raid” where the Continentals would take the powder while Bermuda officials closed their eyes, then provide secret compensation later. The exact details of the raid are unclear. But Bermuda had a powderhouse with over 100 barrels of gunpowder. Like most powderhouses, it was built on a relatively isolated area near the coast since no one liked living near a building that was packed with explosives. On the night of August 14, a group of men broke into the powderhouse and removed most of the barrels. As this was thousands of pounds, it would have taken a large number of men to pull it off in matter of hours. A ship with a Virginia registry The Lady Catherine took the powder back to Philadelphia, and presumably left the locals who had assisted with a supply of food or other items of value in trade. Later, Henry Tucker’s brother, St. George, admitted that he had been among the crew that had seized the powder for the Patriots. The Governor reported that both The Lady Catherine and another ship from South Carolina were spotted in the area, but neither had landed at a port on the island. Presumably the crew used smaller boats to move the powder out to the ship at sea. It turned out the South Carolina ship had nothing to do with the raid, but is mentioned in many of the contemporary accounts. The raid was such a secret that even George Washington did not know about it. For several months after the raid, Washington corresponded with the Governor of Rhode Island trying to develop plans for a raid of his own on Bermuda. He even wrote a letter to the patriots in Bermuda in September asking for their cooperation in getting their powder to his army in Cambridge. He did not know that the armory was by that time pretty much empty due to the successful raid by the crew of The Lady Catherine and that most of the powder was already on its way to his army. Henry Tucker clearly was involved in the raid, but never got in trouble. Possibly the fact that he married the Royal Governor’s daughter encouraged everyone to sweep the incident under the rug. After these events, Bermuda accepted that it had to side with Britain. The Navy’s control of the seas meant that it would not get regular food imports unless the British allowed it. As a British colony, many loyalists immigrated to the island during the war, tilting the population more to the loyalist side. Later in the war, Bermuda made a fortune as a base for privateers raiding American merchant vessels. Dawson, Henry B. (ed) New York City during the American Revolution : being a collection of original papers (now first published) from the manuscripts in the possession of the Mercantile Library Association, of New York City, New York: Mercantile Library Association of the City of New-York, 1861. Kaye, John Life And Corresponding Of Henry St.George Tucker, by John Kaye (1872). Mayo, Lawrence Shaw John Wentworth, Governor of New Hampshire, 1767-1775, Cambridge: Harvard Univ Press, 1921. Stuart, I.W. Life of Jonathan Trumbull Sen., Governor Of Connecticut, Boston: Crocker and Brewster, 1859. Trumbull, Jonathan Jonathan Trumbull, Governor of Connecticut, 1769-1784, Boston: Little Brown & Co. 1919 (author is the great great grandson of the subject). Whitehead, William A Biographical Sketch of William Franklin, NJ Historical Society, 1849. Ketchum, Richard Divided Loyalties: How the American Revolution Came to New York, New York: Henry Holt & Co., 2002. Marsh, Michael The Defining Story of Bermuda's Great Gunpowder Plot 1775, Yellow Toadstool Press, 2016 (book recommendation of the week). Ryerson, Richard The Revolution Is Now Begun: The Radical Committees of Philadelphia, 1765-1776, Philadelphia: Univ. of Pennsylvania Press, 1978.